O’Hara’s poems sound so much like conversation that you cannot help but be engaged. What is also interesting, in Koch’s assessment, is the idea of writing “in the middle” of things. O’Hara is interested, in a Derridean sense, in that which exists between the meaning of words and the word itself, between word and word, and finally between sign and signified. His poetry is a provocation for this reason; his words are like the everyday rambling mind, i.e. 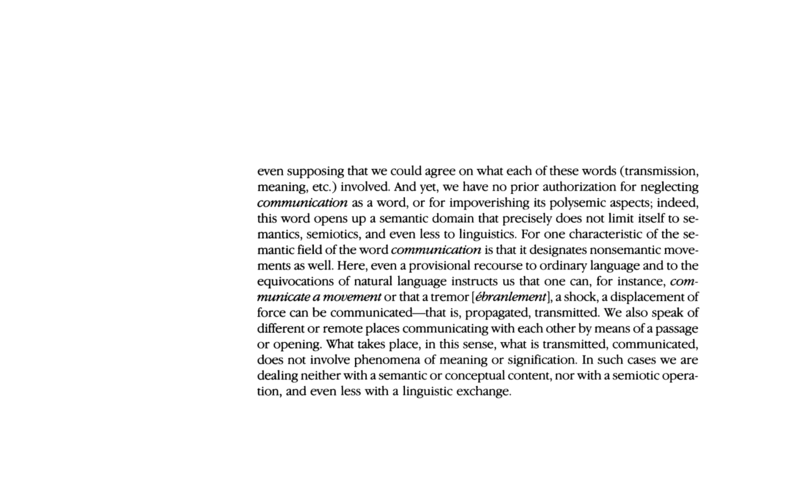 existing without cognition of the differences that create the words as they are being spoken/written, but are produced nonetheless, and with a consistent voice that seems to belong in every moment, space and gesture it occupies. O’Hara’s poems are controlled distraction or conscious digression. O’Hara’s trick, in a Derridean sense, problemitizes representation and the entire issue of the origins of meaning, and, in fact, any concept of the originary. O’Hara does not reject the Romantic sensibility of Coleridge and others, but rather, works within it and thereby subverts it. Charles Jencks defines postmodernism in a way that reflects almost precisely this strategy that is so prevalent in O’Hara’s work: “Post-Modernism . . . (is, in part) double coding – the combination of modern techniques with something else” (Jencks 29). 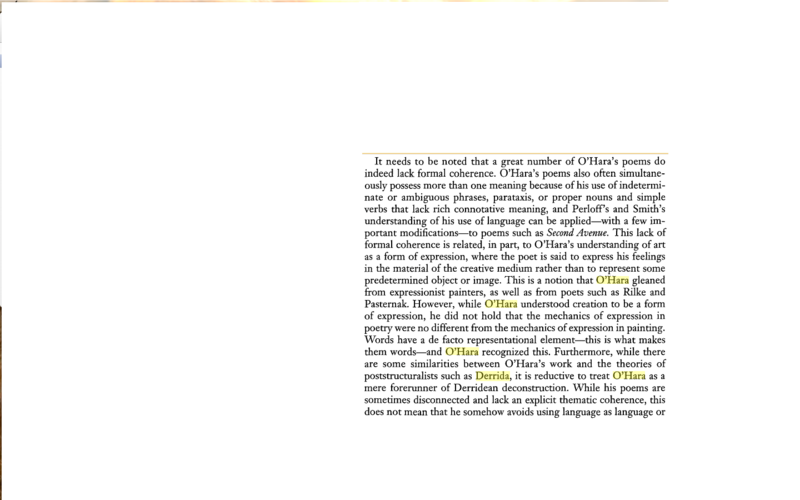 Jencks stresses how this connects to Derrida’s notion of differance and the intense commitment to pluralism, which again is clearly evidenced in O’Hara’s work.